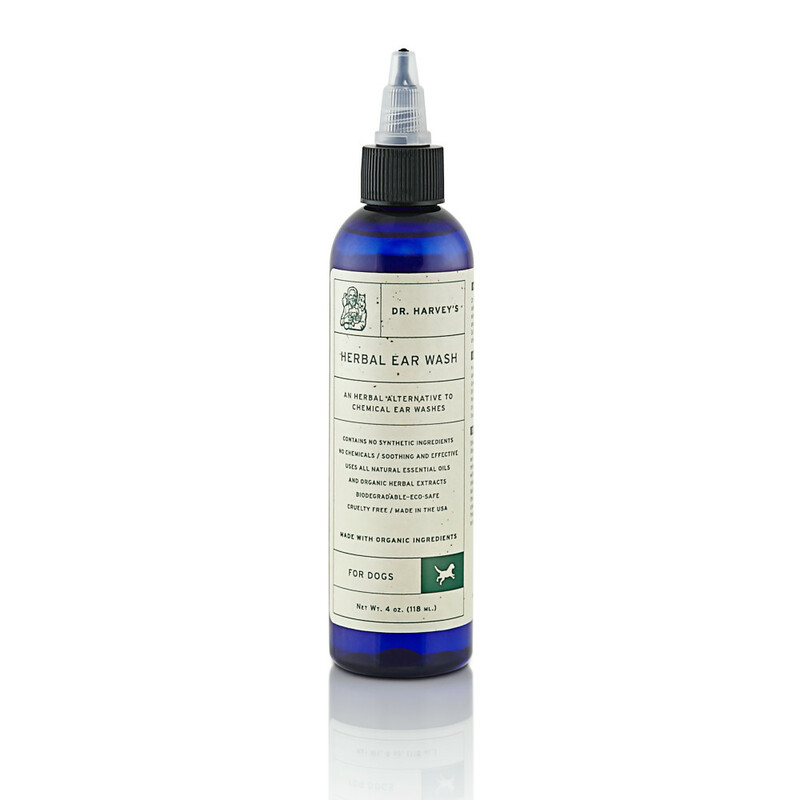 Dr. Harvey’s Herbal Ear Wash is a unique blend of soothing and healing herbal extracts in a base of witch hazel. This amazing formula will protect your dogs ears without the use of chemicals. The formula is anti-fungal, antibacterial and antiviral. This gentle formula cleans your dogs ears of dirt and wax without drying chemicals. Your dog’s ears will smell great and itching and irritation will subside. This gentle and truly effective ear wash stops itching, redness and ear odor. Shake well before use. Gently wipe the inner ear flap with a cotton ball or cotton swap that has been saturated with Dr. Harvey’s Herbal Ear Wash. Do not insert swab or cotton into ear canal. Repeat wiping the ear until clean. May be used frequently without fear of irritation. For external use only.